SEDONA Hotels In Sedona AZ. Luxury Stays. Discount Hotels Sedona. SEDONA HOTELS In Sedona Arizona hotels offer world class, mid-range, and budget values. Sedona AZ vacation lovers share tips. Find YOUR kind of cozy hotels in Sedona AZ. What's THE Best Of All Sedona Arizona Hotels? SEDONA Hotels In Sedona AZ. Discount Hotels. Sedona Luxury. 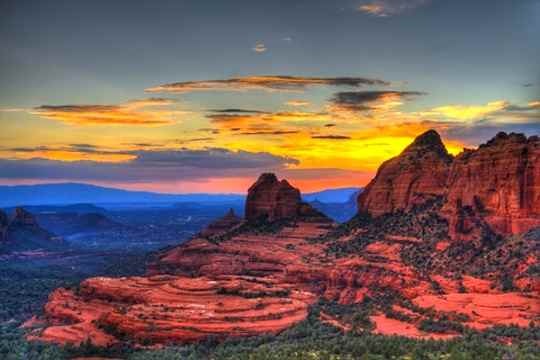 Most Unique Sedona Arizona Hotels. So, wherever you stay, you'll be surrounded by Sedona's glorious natural beauty. Nestled into Coconino National Forest and right on the lush green banks of Oak Creek, this is a high desert Red Rock and wildlife wonderland. 4 Ways To Explore & Find YOUR Kind Of "Best"
1. SEE WHAT PIQUES YOUR INTEREST: You might start with a look at our Top 9 Sedona Hotels Finds (on this page). This is the most popular starting point, especially for people who prefer getting "best of" lodging insights at-a-glance. It's a way to quickly find a "best" that may fit your ideals. 2. GET A GOOD IDEA OF WHAT'S POSSIBLE: You can peruse the Sedona Lodging Overview page to get ideas about what Sedona offers… see what's possible. It's a good place to start if all this is new to you and you'd like a little more depth with small, easy to "digest" bits of info. 3. FIND A SPECIFIC VENUE BY NAME: Maybe you're already considering a particular hotel, resort, cabin, etc. You can jump directly to a (long but simple) Alphabetical List Of Favorite Sedona Lodging Venues. These lead to individual review pages, each of which includes the significant details… amenities, rates, contact info, and of course, photos. 4. EXPLORE THE TYPES OF SEDONA LODGING: Have your heart set on staying in a creekside cabin? Looking for a resort & spa combo? Maybe you'd like to focus on finding something that satisfies a tight budget and offers high-quality too. The following links lead to pages in our collection of "mini-overviews." From there, you can jump to whatever interests you most. "Where can I find a great budget value?" "A place to connect with nature, nourish the soul?" "The most unique lodging in Sedona Arizona?" This page was inspired by your interests and encouragements. Cheers! Here is a list of extraordinary Sedona lodging possibilities we loved creating. We hope you'll enjoy exploring. 1. How about a high-end creekside cabin, with a wood burning fireplace, flat screen television, and your own private outdoor rain shower? LAuberge de Sedona Cabins ($$ to $$$+). 2. Or, a mansion-style Sedona villa, with two fireplaces… one right next to the jetted tub in your bathroom! Adobe Grand Villas of Sedona ($$$$+). 3. A totally "unplugged" forest cabin retreat? We love Canyon Wren ($+) for snuggling up. And Garlands Sedona Oak Creek Lodge ($$+ to $$$+) for simple elegance and phenomenal food. 4. A convenient in-town stay with an unspoiled retreat feel? Here's exquisite hacienda style architecture with comfy gallery-quality furnishings. El Portal Sedona Lodging ($$+ to $$$$). 5. Discount hotels? Sedona has plenty. Including a $60 gem with a private balcony and nice view of Thunder Mountain. White House Inn, a Sedona Motel. 6. Cheap Sedona cabins? Sure. The Forest Houses Resort ($ to $$). 7. Are you a "couple of couples," a small group, or big family on a budget? Here's how you can get a first-class stay for a motel price. Sedona Arizona Vacation Homes - Sedona Cabins, Houses, and Villas of Sedona. 8. How about a bed and breakfast and star gazing from your own jacuzzi on your private patio… oh, and with a telescope that has been so thoughtfully provided?! Boots and Saddles Sedona Bed and Breakfast Inn ($$+). 9. The ultimate Sedona lodging haven for spiritual seekers and spa lovers? There are plenty, but one real stand out: Enchantment Resort Sedona & Mii Amo Spa ($$$$+). By the way, if you've go a question for us, we'd love to hear from you… And future visitors will thank you too. Your inquiries keep this site fresh and full of zest. Click here to email us what you're wondering about. Find What You're Looking For? There's Plenty More. >> Go to to the Sedona-Happy HOME page from this Sedona Hotels page.